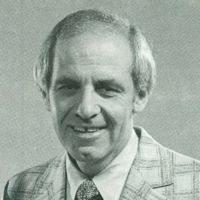 Frank Giudici, along with his wife and co-minister, Martha Giudici, was a prolific and much loved teacher and minister for the Unity Movement. In recognition of his dynamic leadership as a well-known and innovative Bible scholar and his contributions to raising the awareness of Unity in the world, in 1995 he received the Charles Fillmore award. A resident of Laguna Woods Village, California, succumbed to leukemia at home at the age of 81. Frank was born to Rico and Frances Giudici, immigrant Italian parents, and raised in San Rafael, California. He graduated from San Rafael High School in 1946 and from Santa Clara University with an accounting degree in 1950. He first became an accountant in San Francisco, then a sports coach at Hanna Boys Center, Sonoma, then a U. S. Army artillery instructor during the Korean conflict, before finding his life's path at Unity School for Religious Studies in Lee's Summit, Missouri, ordained as a Unity Minister in 1968. There he met and married Martha James in 1969, his wife and co-minister until her death in 2000. Frank served in field ministries at Valley Stream, New York, Pittsburgh, Pennsylvania and Phoenix, Arizona. He returned to Unity Village as Chairman of Biblical Studies and Skills at Unity School, and Minister at Unity Village chapel. Frank authored seven audio cassette talks, including, "Turning Anger Into Love," "What We Can Learn from Genesis" and "Love Yourself to Wholeness." In recognition of his dynamic leadership as well-known and innovative Bible scholar and his contributions to raising the awareness of Unity in the world, in 1995 he received the Charles Fillmore award. Frank retired to California in 1994, but had continued to support the work of Unity until his transition. He is survived by his step-daughters, Janelle and Janette James, grandchildren Maceo, Jerell and Maya Oliver, great-grandson Alexander, and extended family in Reno, Denver and Taino, Italy. The family thanks his friends and former students for their loving condolences. A private memorial will be held. Donations may be made to Unity School or the Association of Unity Ministers in lieu of flowers. Please leave a comment below if you knew Frank Giudici. Uncle Frank, I am blessed to say, Was my own personal councilor. He was always just a phone call away. His kind and gentle voice and words of deep wisdom would always guide me gently back on to the path. He could so easily and kindly turn my self pity and self made hell into wonderful lessons that were food for my spiritual growth. He reminded me that I AM one with THE ONE and that ultimate responsibility is mine. I thank God everyday that I have been so blessed to be a part of Uncle Frank and Aunt Mart's lives and they a part of mine. I wanted to echo the words above. Frank and Martha were both teachers of mine in ministerial school and two of the best. Martha, especially, was a kind of mentor to me as her love for metaphysics got into my soul. They were both quite precious to me. I wanted to echo the notion that both Frank and Martha were very special. They were each two of my best teachers in ministerial school and they continued to mentor me afterwards. Martha, especially, loved metaphysics and I got that into my soul! Remembering a great Truth teacher. I had the great blessing of having Frank as my Bible instructor at Unity Village in 1999. His beautiful spiritual teachings are forever in my heart. . Frank used to say: " we are in our perfect place, on our way to our true place." Love, light and blessing. Maria, his grateful Truth student.